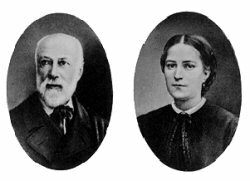 The heroic holiness of Louis and Zélie Martin, the parents of St Thérèse, was recognised when Pope John Paul II declared them Venerable in March 1994. They were beatified as a couple following the miraculous cure of Pietro Schiliro through their intercession. The Beatification took place in 2008 in Lisieux in the Basilica of St Thérèse during the papacy of Pope Emeritus Benedict XVI. 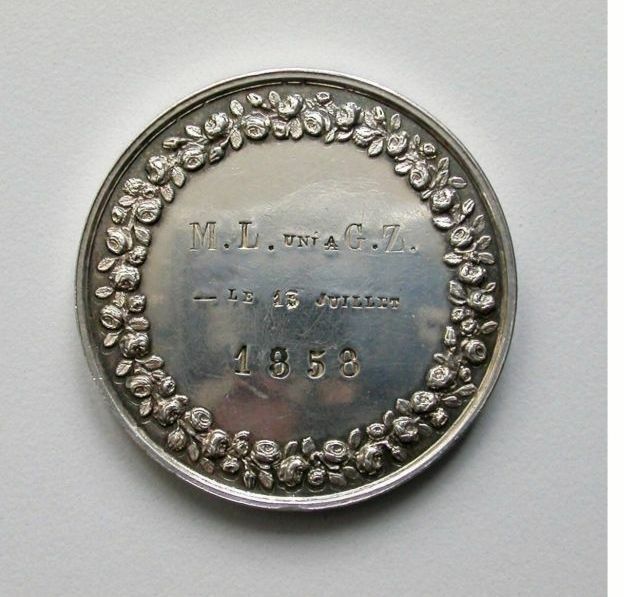 That year was the 150th anniversary of their marriage. Their Beatification evoked the famous words of St Thérèse 'God gave me a Father and Mother more worthy of Heaven than of Earth'. 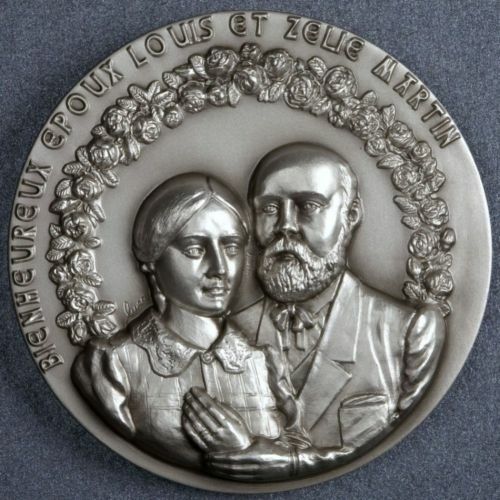 After the Beatification of Louis and Zélie Martin, the Cause for their Canonisation progressed with claims for a second miraculous cure obtained through their intercession. The canonical process of investigation which was established in January 2013 concluded in May 2013. The promulgation of a Decree concerning a miracle attributable to the intercession of Blessed Louis and Zélie Martin was authorised by His Holiness Pope Francis on Wednesday 18 March 2015 when he received in audience Cardinal Amato, Prefect of the Congregation for the Causes of Saints. Pope Francis, during the Ordinary Consistory in Rome in June 2015, approved the Decrees for the Canonisation of Blessed Louis and Zélie. 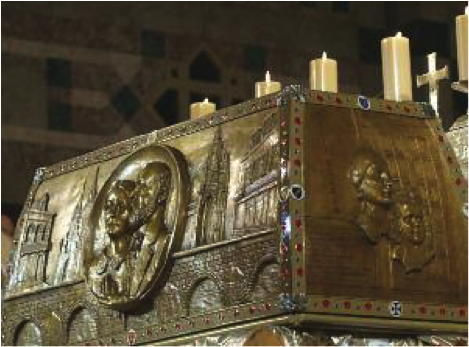 The Canonisation of Blesseds Louis Martin and Marie-Azélie Guérin, spouses, the parents of St Thérèse of the Child Jesus and the Holy Face (St Thérèse of Lisieux) took place on Sunday 18 October 2015 in Rome. The Canonisation took place during the Holy Mass celebrated on the 29th Sunday in Ordinary Time by His Holiness Pope Francis, in St Peter's Square, Rome. In his homily on the day's biblical readings - which presented the theme of service - Pope Francis said 'The holy spouses Louis Martin and Marie-Azélie Guérin practised Christian service in the family, creating day by day an environment of faith and love which nurtured the vocations of their daughters, among whom was Saint Thérèse of the Child Jesus'. The Canonisation took place during the Synod on the Family in 2015 and the date coincided with the Anniversary of the Beatification of Louis and Zélie in 2008 and the Proclamation of St Thérèse as a Doctor of the Church in 1997. Saints - may be venerated. Louis Martin was born in Bordeaux in 1823 and baptised Louis-Joseph-Aloys-Stanislaus. He grew up in Alençon and after school learned clock-making eventually opening his own watch-making and jewellery business on the rue du Pont-Neuf in Alençon. As a young man he wished to become a priest but it was not to be. Prayer was an important part of his life. 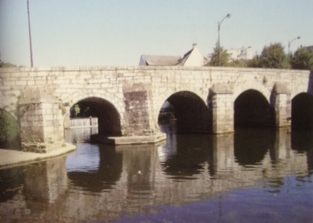 He liked reading, fishing and walking in the countryside. His travels included his well known pilgrimage to Rome in 1887 with his daughters Thérèse and Céline on the occasion of which Thérèse - still not fifteen years old - asked Pope Leo XIII for permission to enter Carmel. Louis and Zélie Martin lived in Alençon, initially at 15 rue du Pont-Neuf and later at 35 rue Saint-Blaise, where St Thérèse was born. They had nine children only five of whom survived infancy and early childhood. The surviving children were Marie, Pauline, Léonie, Céline and Thérèse all of whom embraced the religious life. Marie, Pauline, Céline and Thérèse became Carmelite Sisters in Lisieux and were known respectively as Sr Marie of the Sacred Heart, Mother Agnes of Jesus, Sr Geneviève of the Holy Face and Sr Thérèse of the Child Jesus and the Holy Face. Léonie became a Visitation Sister, in Caen, and was known as Sr Françoise-Thérèse. St Thérèse of the Child Jesus and the Holy Face (Thérèse Martin) was canonised in 1925. The Cause of the Beatification and Canonisaion of the Servant of God Sr Françoise-Thérèse (Léonie Martin) is currently in process. Thérèse in her autobiography conveyed the goodness of her parents and the sense of prayerfulness and care for others which was instilled in her home. She wrote in the opening pages of Story of a Soul ‘God granted me the favour of opening my intelligence at an early age and of imprinting childhood recollections deeply on my memory. Jesus in His love willed perhaps, that I know the matchless mother He had given me, but whom His hand hastened to crown in Heaven.’ Of her father she wrote ‘I cannot say how much I loved Papa; everything in him caused me to admire him’. In reference to both her mother and father in a letter to Fr Bellière just two months before she died she wrote the much quoted ‘God gave me a father and mother more worthy of Heaven than of earth’.